Krishna Motukuri is the CEO of Zippin, drawing on his deep retail technology, ecommerce and startup experience to lead Zippin. Most recently, he was a portfolio company CEO at Naspers Group, where he built and grew multiple e-commerce businesses in India and South Africa. Earlier in his career, Krishna spent seven years at Amazon leading teams in search, marketing, global expansion and supply chain. In 2006 he left Amazon to start Ugenie, a next-gen comparison shopping site that was acquired in 2008 by Lulu.com. 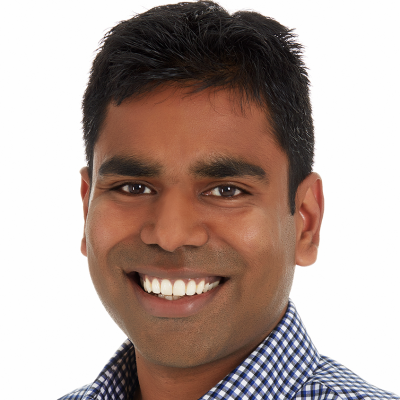 Post-acquisition, Krishna assumed the role of SVP, Business Development at Lulu and established key partnerships with Apple, McGraw Hill, Google and others. Krishna has a Master's degree from University of Illinois, Urbana-Champaign, and a Bachelor’s degree from the Indian Institute of Technology, Delhi. In his spare time, he enjoys travel and spending time outdoors with his family.